HomeConspiracyFlu Death Rates Hit Epidemic Levels In America In 2017 – Are Americans Being ‘Mass Vaccinated’ Via Chemtrails Against Our Will? Remember ‘Operation Big City’! The heartbreaking story from the Dayton Daily News on Monday reported that the flu has just claimed the life of a 4th child in Ohio in just the past two weeks and while the overall level of those being hospitalized for flu-related symptoms appear to be leveling off there, we learn in several other new stories from across America that the leveling off happening in Ohio isn’t the same case elsewhere. As this new story from Fox News reports, flu death rates just hit the ‘epidemic levels’ nationally with increasing levels of flu reported to the CDC each week for 3 consecutive months prior to the 4th week of 2017, where the numbers dipped slightly. And in this brand new story from ‘The Tennessean’ they report that in Wilson County, Tennessee, the entire school system will be shut down for the rest of this week after more than 2,000 children became ill with flu-like systems, joining at least 138 teachers there who also have fallen ill.
That mass outbreak of flu coming the very week after a similar outbreak of the flu caused the shutting down of the entire school system in Minco County, Oklahoma as heard in the 3rd video below shows us just how widespread the flu is in the US in 2017. 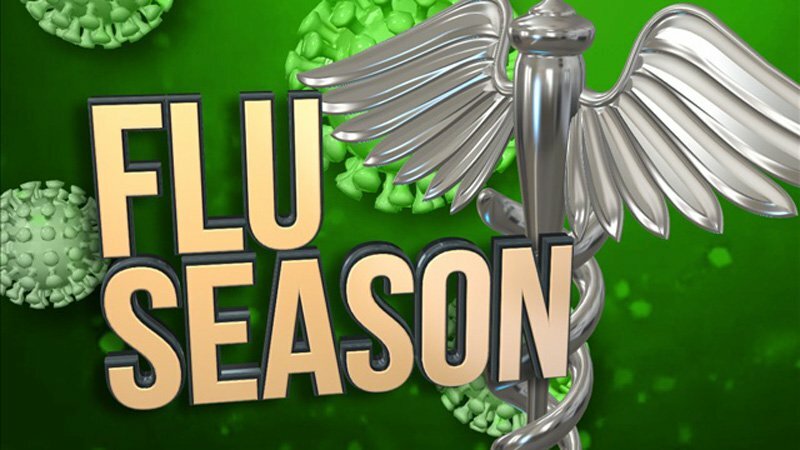 In fact, according to Fox 6 Now in Wisconsin, the flu continues to spread across more than 40 US states and Puerto Rico and has been tied to at least 20 deaths, 7 of them just reported during the week ending February 4th. The latest report (PDF) from the Centers for Disease Control and Prevention says over 14,000 cases of influenza A have been reported across the country. Fifty-one of 54 US states and territories are experiencing elevated levels of flu and flu-like illnesses. Flu activity is “high” to “extremely high” in 24 regions. Alabama, Arkansas, Connecticut, Georgia, Hawaii, Kansas, Louisiana, Mississippi, Missouri, New Jersey, New York, North Carolina, Oklahoma, Pennsylvania, South Carolina, South Dakota, Tennessee, Texas and Wyoming rank as the states with the highest levels of flu and flu-like illness activity. And while they also report that according to the CDC and the medical community, all of this is another reason that ‘we should all be getting vaccinated to protect ourselves and others from contracting or spreading the virus’, we find this new story from S.D. Wells over at Natural News quite interesting as they report that President Donald Trump has never gotten a flu shot along with this stunner: he’s never gotten the flu, either. As their story asks… just a coincidence? Is President Trump coming out so strongly against flu shots one of the reasons that the globalists stand against him? Is President Trump getting in the way of the globalists ‘depopulation agenda’? The fact that the flu is so widespread across America at a time when such a high percentage of Americans are getting their flu shots is quite concerning. And while we aren’t medical doctors here at ANP, we do our very best to avoid going to the doctors offices for anything at all as well as making sure we avoid being jabbed by the flu shot by building up our immune systems to their strongest levels so just in case we do get briefly sick, it’s not long-lasting nor severe. If anybody has any of their own ‘tricks‘ they use to avoid or quickly get over the flu, we’d love to hear about how you stay healthy in the comment section below. 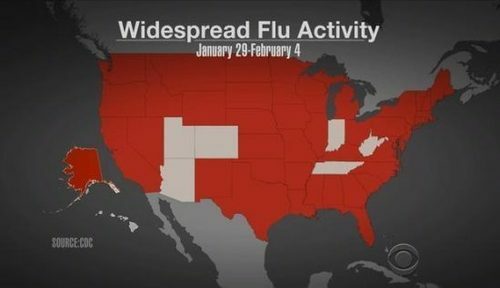 Each of the new videos below take a look at the rapid and deadly spread of flu across the US this year while in the final video below, our videographer asks if the globalists have been making sure that everybody across America gets the flu shot, whether they want it or not, via chemtrails being sprayed daily across our skies. Are the globalists using chemtrails to spray down their toxic flu shot poisons upon an unknowing public? While certainly a controversial video and theory, it’s still one that deserves to be looked at as a real possibility, especially knowing just how many documented times we already have about the government using unsuspecting and unconsenting Americans as human guinea pigs. According to a History Channel program, ‘Operation Big City’ was an ‘open-air testing program that took research out of the laboratories and into the skies in order to study their effectiveness, including aerial dispersion patterns. Also known as ‘Operation Open Air’, we have all the proof that we need that government has used biological agents upon US cities in various locations across America so anyone blindly saying they’d never use chemtrails to mass vaccinate us all clearly hasn’t studied already proven US history.